Polemics: Liberal World Order: Dead or Alive? 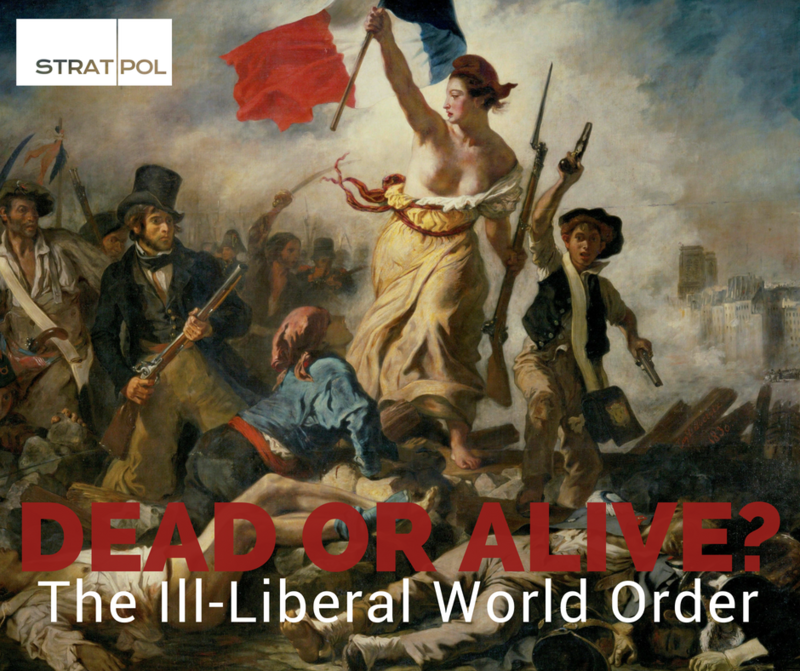 Polemics: The Liberal World Order: Dead or Alive? After the First World War, some states attempted to popularize the concept of international liberalism. Statesmen in these countries believed in the capacity of the mankind to create orderly, just and peaceful international collectives through reasoned co-operation and agreement. But before the order could be established, it was swept away by violent fanaticism unleashed by the forces of fascism, Nazism, and radical socialism. Many pundits believe that the order was properly established after the Second World War and that it has brought immense prosperity to many political communities across the globe. Others are more skeptical, emphasizing the realist structural influences of the international system on its members. The motion for this week’s discussion is that the liberal international order is now dead. On the following lines, we offer you what we consider to be the best arguments for the contradictory positions. The final answer is up to you to decide. Liberal world order is dead because it has never been alive. Political collectives have always cared for their own interests. Sometimes these interests were shared by several collectives and this produced the illusion of temporary cooperative peaceful order. But this is far from the whole picture. Organized violence, whether potential or direct, has always been one of the fundamental means for the pursuit of human interests. For centuries, international actors have used violence for bargaining, coercing, deterring and inflicting destruction and pain. The idea that the order established after the Second World War is the product of reasoning and peaceful cooperation is wrong. International order of recent decades was shaped primarily by violence waged or threatened for the purposes of various political collectives. Even if the liberal world order ever existed, it does not exist now. Military force is actively deployed and employed in pursuit of political interests all over the world. North Korea threatens several countries with outright destruction if its desires are not satisfied. Russia has used its armed forces to seize territories of its neighbors, an act of war as traditional as it gets in the military history. Meanwhile, China actively builds up its military capabilities to defend its interests in the South China Sea. The current world order, if it is an order at all, is as much a product of violence as it is a product of cooperation and reason. Liberal world order is dead because it is impossible for it to be alive. The liberal goals of justice and peace are ultimately incompatible. The very concept of justice is to a large extent subjective, depending mostly on the political orientation of the observer. For socialists and progressives, justice is mainly about equality and equity. For liberals and libertarians, justice is mainly about freedom. For conservatives, justice is mainly about preserving an order of society. The values constituting the main dividing lines between these orientations are influenced by both nature and nurture. This means that the main dividing lines between various political collectives do not seem to go away. These conceptions of justice are then influenced by particular historical, ethnic, cultural and social contexts of particular societies. The belief that it is possible for all these collectives with different conceptions of justice to co-exist without using violence to achieve their particular form of justice is just an article of faith. It is more wishful thinking than an empirical observation. For if peace is supposed to be the highest objective of an international order, that means that there is nothing worth fighting for. Recent wars waged by the West, even if disguised as humanitarian interventions, have scattered such nonsense to the wind. The liberal international order is alive and the evidence for this is crystal clear when we gaze into the abyss of previous international orders. The world we live in, the world of unprecedented peace, stability, and prosperity, is often taken for granted. When we have a look at the world, such as it was, in the first half of the twentieth century, it was characterized by wars and great power conflict, imperial empires and exploitation, economic mercantilism and the great depression. Yet an idea was born and promoted more than ever before. It was the idea of international cooperation, security, and human rights. Liberal democracies, as the idea went, had no interest in fighting each other, because international relations are not a zero-sum game. Never before have the interests of so many states been pursued through such an extensive cooperation. The world is now largely a community of independent sovereign states that prefer cooperation as means to prosperity, security and protection of common values, international norms and human rights. The liberal world order is not only alive, it is expanding. It started off as a small project, yet, after the collapse of the Soviet Union, it covers most of the world. The European Union started with six countries, now it has 28. And its greatest achievement is nothing less than a period of unprecedented peace on a previously bloody continent. For thousands of years, the continent was ravaged by wars and violence. France and Germany went to war three times only between 1850 and 1950 and dragged the entire world in on two of those three occasions. Globally, since the collapse of the Soviet Union, we live in the new world of much greater cooperation and much broader and sustained prosperity than ever before. Life expectancy is up and growing, poverty is down and decreasing, violence and terrorism are the lowest ever. The international liberal order has empowered the poorest people in the world. UN calculates that in the last 50 years we have taken more people out of poverty than in the preceding 500. Or look at Ukraine and Poland. They had the same per capita GDP in the 1990 but as the history had it, they embarked on a different path. Now Poland has three times the per capita GDP than Ukraine. But, what’s more, EU provides Poland with an access to economic union, it provides them with robust institutions and various forms of economic assistance. The trend is unmistakable. The international liberal order is alive, well and brings prosperity wherever liberal democracies take root. “The era of liberal democracy is over. Rather than try to fix a liberal democracy that has run aground, we will build a 21st-century Christian democracy.” The words were spoken by fourth-time elected Hungarian Prime Minister, Viktor Orbán during his official swearing-in on May 10. But what does this statement really mean? Does it mean, that Hungary is heading even more illiberal direction or that Orbán has recently discovered some deep Christian piety? There are three possible interpretations of Orbán’s statement. The first would be, that the Prime Minister is honestly interested in building Christian Democracy in Hungary. Although I find it quite unlikely, there are signs that could indicate this. According to one of the definitions of Christian Democracy, “it recognizes the need for the state to intervene in the economy to support communities and defend human dignity” and “resist excessive intervention of the state in social life and education”. Orbán’s anti-refugees policy is not quite in line with my understating of the “defence of human dignity” and the new minister of education with his rhetoric could symbolize dangerous “intervention of the state in social life and education”. Kásler Miklós, the newly appointed Hungarian minister of education, brings controversial attitudes towards science and the existence of God. Miklós is a former director of the National Institute of Oncology and is well known for his conspiracy theories, which are particularly concerning when voiced by the director of the oncological institute. “Fatal diseases could be cured by following Ten Commandments”, is one of the more unsettling ones former director’s quotations. Notable is also Miklós’s statement about the existence of God proven by physics. The second interpretation is that Orbán has a specific understanding of the term ‘democracy’. It is somewhat questionable whether Hungary is still a democracy, and if it is to what extent. From young liberal dissident to an architect of “illiberal democracy”, the current Hungarian Prime Minister has walked a long way and his ideology has visibly changed. In his speech in July 2014, in Băile Tuşnad, Romania, Orbán uttered a courageous prediction. Successful societies would be created in systems that were “not Western, not liberal, not liberal democracies, and perhaps not even democracies”. The assumption that Orbán focuses on strengthening democracy is daily undermined by his policies and rhetoric. Orbán tends to appreciate regimes set in Russia, China or Turkey. Regimes that, in fact, do not have much in common with European liberal democracies, which Hungary, as an EU member, is expected to be. The third elucidation of his several days old rhetoric is, in my opinion, the most probable one. Under the cover name “Christian Democracy”, Viktor Orbán intends to transform his current model of illiberal democracy to even more authoritative shape, or so-called “soft autocracy”. We could probably find some parallels between Voltaire´s paraphrase “The Holy Roman Empire was Neither Holy, Nor Roman, Nor an Empire” and Orbanian Hungary, which appears to be “Neither Christian Nor a Democracy”. A famous proverb says, “Power tends to corrupt, absolute power corrupts absolutely”. With the continuous destruction of checks and balances in Hungary, we could only assume an increasing appetite for power from a man, who was once known as a boy “so poor he says he was 15 years old before he turned on a tap and enjoyed a warm water for the first time”. The “Orbanization” of Hungary is successfully underway. Orbán’s populist approach towards migration crisis had ensured huge support of his political party Fidesz. Overhauling of Constitutional Court, new election law, voting rights given to the Hungarians outside the country or new press authority with power to fine media outlets are just a few Orbanian illiberal measures which are releasing breaks of Orbán’s limitless power. Orbán’s growing power is translating into arrogance, for example, towards European Union during the latest EU budget proposals. The Hungarian prime minister refuses to give a single cent to migrants, and he would not approve the Multiannual Financial Framework (MFF) until he is satisfied with it. Viktor Orbán has stated: “The Hungarians don’t need to worry. As long as the Hungarians don’t say that it can go, then there is no budget.” That means there would not be any approval from Hungary as long as there would be finances for migrants. It remains to be seen, whether the EU would be willing to make concessions on the account of Orbán’s radical demands. The European Union has much to lose by empowering Mr. Orbán. The threat of spreading Orbanian “democracy” throughout Central and Eastern European countries is rising by the day. In Poland, the ruling party Law and Justice decided to take the way which Hungary has been paving for years. 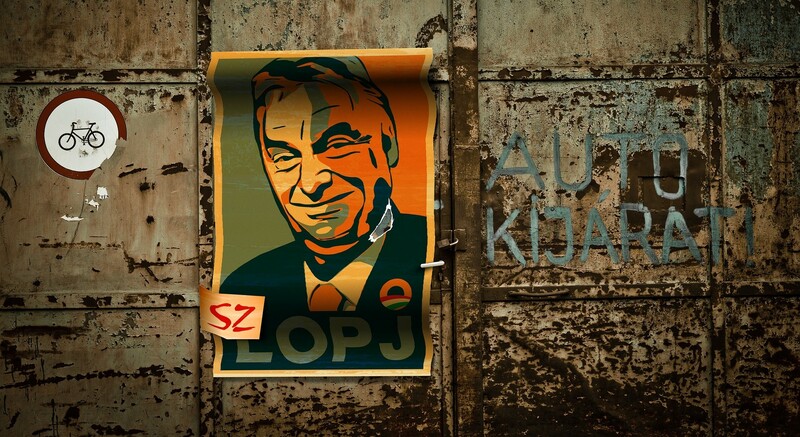 Stigmatized post-communist states are fertile soil for populism, nationalism, weakening democratic institutions and building illiberal regimes in the name of Christian democracy. Policies of the V4 countries are putting European Union’s cohesion into jeopardy and could have further consequences if appropriate changes in attitude towards the EU demands are not made. EU should also toughen its policies concerning states which are violating basic principles of democracy. Either fewer finances for these countries, or a modification of the decision-making processes, but certain measurements to stop this trend are needed. The end of liberal international order? Liberal internationalism is in crisis. “The end of history” seems to be an outdated concept that was not borne out by further developments in the post-Cold War world. One of the most prominent liberal international relations scholars, G. John Ikenberry identifies the dynamics behind the crisis and attempts to answer the pivotal question of how deep it runs. Firstly, he identifies the ideological underpinnings of liberal international order beyond the prism of both, the post-WWII and post-Cold War, American hegemony. Secondly, he moulds liberal internationalism into the form provided by the 21st century geopolitical and cultural realities. Finally, he analyses the sources of the contemporary crises of liberal internationalism. 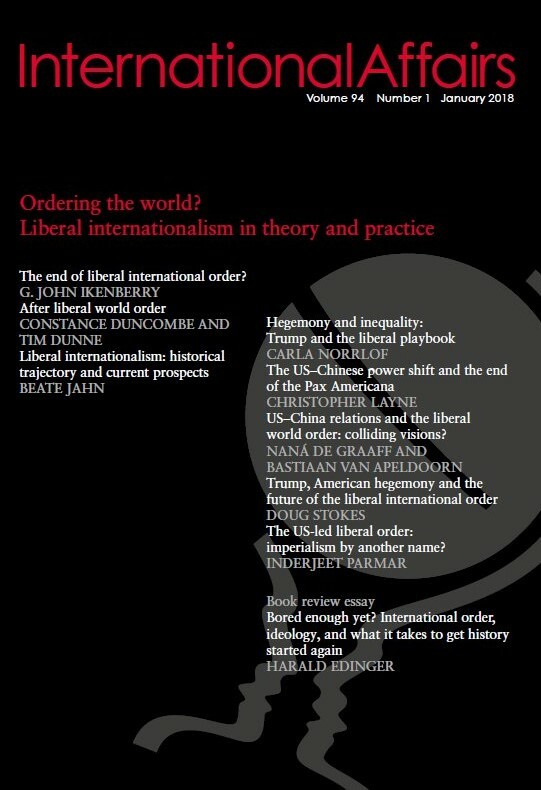 Ikenberry, successfully, provides in-depth analysis of the emergence and development of the liberal international order and traces back the defining moments that brought about its current form. From Smith and Cobden to Kant and Mill, there was this specific teleology to liberalism: a developmental logic to history, resulting in the triumph of liberal democracy worldwide. Liberal internationalism emerged as an optics to comprehend the West and its civilizationally superior relationship to the rest. In the 20s, Wilsonian liberal internationalism was meant to be horizontally flat system identified by rather thin participatory and policy scopes. However, after the rise of fascism and totalitarianism in the 1930s and 1940s and the destruction of Europe, liberal internationalism morphed into the universalist protection of human rights and security, tightly tied to the U.S. Playing against the Cold War background, the order became “soft from the inside” and “tough from the outside.” From the inside, multilateral institutions, such as NATO or GATT (later WTO), provided a platform for bargaining and cooperation and reinforced its legitimacy by advocating the norms of equality. Vis-á-vis “the outside”, liberal order within the bipolar world, served as a bastion of security and U.S. “public goods” assurances. All in all, the fundamental premise of the U.S.-led global order was the belief in the alignment of democracies: their shared interests and values. The post-Cold War globalisation of liberal internationalism facilitated its current crises. Two long-term implications emerged: a “crisis of authority” and a “crisis of social purpose.” Firstly, rising non-western states challenge the authority of the “declining” U.S. Economic inequalities, stagnating economic growth post-2008, and identity politics undermine liberal democracy and elevate the threat of nationalism, isolationism, and authoritarianism. Secondly, with increased differentiation among the member states, the sense of common identity has been eroded and hence it has become increasingly hard to respond to global challenges. Ikenberry’s predictions are rather problematic: “This shift is probably not best seen as a transition from an American to a Chinese hegemonic order, the ‘return to multipolarity’ or a ‘rise of the non-West’. Rather, it is simply a gradual diffusion of power away from the West.” The first problem arises with a failure to account for various dimensions of power “diffusing from the West.” Ikenberry bases his analysis on the importance of ideational and moral power within the global system and underscores the significance of the shifting centre of economic gravity towards the Global South, with China successfully managing to convert its economic power into military one as well. Secondly, he concludes that the survival of liberal international order depends on the ability of the U.S. to project its normative values outside, while divorcing from its neo-liberal capitalist brand, and on its ability to revitalise strategic partnerships. U.S. divergence from value-oriented foreign policy, under the Trump administration, and endorsement of zero-sum calculations and sympathy for authoritarianism, compromise its ability to do the former, whereas increased U.S. unilateralism (e.g. the withdrawal from the Iran Nuclear Deal) and Chinese initiatives (e.g. One Belt One Road) diminish its capability to institute the latter. Ultimately Ikenberry believes that the survival of liberal democracy will ensure the survival of liberal internationalism. Given his previous analysis of the impact of liberal internationalism on “democratisation”, he provides circular reasoning, leaving the reader with nothing to hold onto. Therefore, Ikenberry’s account of the crisis of liberal internationalism successfully frames the questions we should be asking but provides us with no effective answers. STRATPOL ViewPoints is a project which seeks to address the most important international politics and security affairs of today. In every issue, you can find a Polemics, a controversial thought that one author supports and the other opposes, a thought-provoking opinion piece and a Brief Review of a recent study from well-known research centers and think-tanks worldwide.